Chef Alan is a Chef at Notre Dame, a member of the American Culinary Federation, and a friend of Unity Gardens . Chef Alan is also very active in the Chef and Child program. 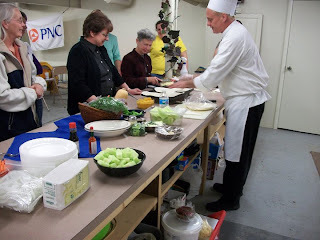 He has taught several cooking classes for us, he runs our Art Beat booth every year . Its always a treat to see what Chef Alan has in store.